It's all about the zombie's and this giant door poster will welcome your party guests in true zombie style. Looks like a zombie walking through a wall, so would look cool on a paneled wall to. Plastic poster is large enough to fit most single doors, and can be cut to fit smaller doors. Hang with tape or similar adhesive, not included. 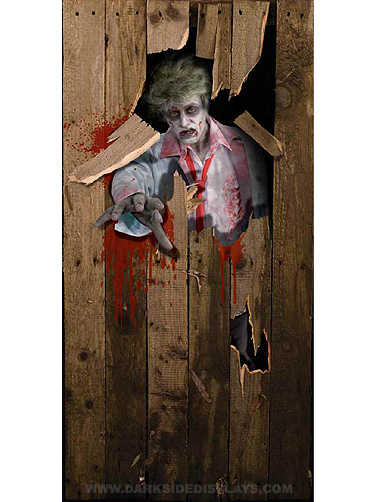 Zombie Door Poster measures 36"W x 72"H (3 ft x 6 ft).